The Miami Trace High School cast and crew of “Hairspray” are inviting the community to enjoy this blast from the past coming April 13, 14 and 15 as the final musical in the current high school. Reserved seats are currently available for the Friday and Saturday performances at ShowTix4U.com, and general admission seating will be available for all three performances. 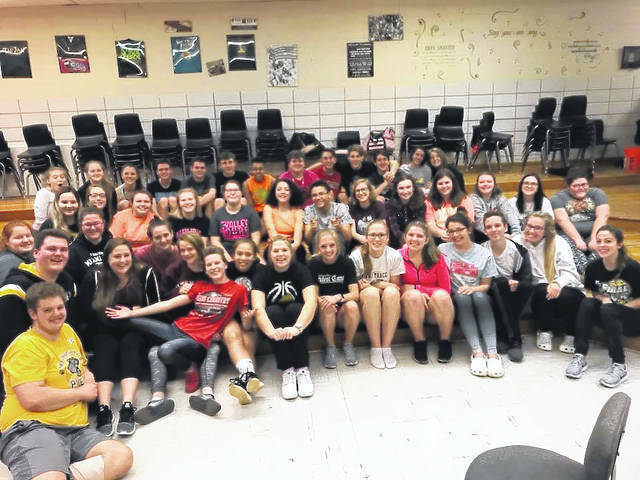 Miami Trace High School musical season is underway and practices for the production “Hairspray” are in full swing as the cast prepares for the upcoming performances on April 13, 14 and 15. This musical, set in 1962, was chosen by Miami Trace High School vocal music director Holly Stanley as well as Robin Hart to commemorate the last musical in the current high school, which was built in 1962. Nyleah Trimmer has choreographed the music for the ensemble and the cast is busy learning all of the dances, songs and lines. Reserved seats are currently available for the Friday, April 13 and Saturday, April 14 performances, which begin at 7 p.m., at ShowTix4U.com for $10. General admission seating will also be available for all three performances and costs $6. The Sunday, April 15 performance is only general admission. Organizers continue to encourage the community to come to Miami Trace High School and step back in time to the 1960s to help the cast and crew celebrate this wonderful show and their final performance at the current Miami Trace High School. A new high school is currently under construction. For more ticket information, contact 1-866-967-8167.
https://www.recordherald.com/wp-content/uploads/sites/27/2018/03/web1_Musical-Cast.jpgThe Miami Trace High School cast and crew of “Hairspray” are inviting the community to enjoy this blast from the past coming April 13, 14 and 15 as the final musical in the current high school. Reserved seats are currently available for the Friday and Saturday performances at ShowTix4U.com, and general admission seating will be available for all three performances.